The vision of Valley-wide Group is to provide a place where all your financial goals are given a balanced approach with consideration to your day to day needs. From Insurance to managing your hard earned investments, we have put together an amazing team with your needs in mind. Our advisors can guide you through the importanct financial decisions including life insurance, long-term care plans, estate planning and investments. Whatever your needs, when it comes to insurance, from house to your vintage vehicle, we can make sure we've got you covered. 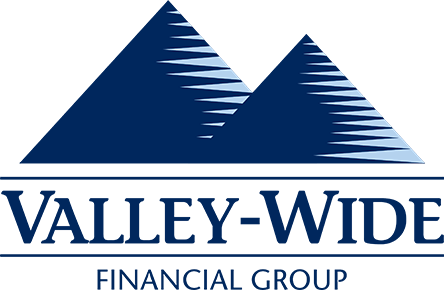 Save- Grow -Protect is our credo at Valley-Wide Financial Corp. At Valley-Wide you have decades of experience in business and personal wealth management helping you make sound financial decisions. From succession planning and employee benefits to pensions, profit sharing and tax-advantage planning, a Valley-Wide financial advisor can help you build financial security for your business. By utilizing planning techniques we can help you grow your assets. Whether you’re buying insurance for your first home or auto, downsizing to a condo from a house, or traveling south for the winter, you don’t have to navigate the maze of insurance options alone. As experienced insurance brokers, we’ve been providing insurance solutions since 1994 in the Fraser Valley and across BC. As insurance brokers, we have access to the best of insurance markets and products. This means we tailor-make our services and products to meet your precise needs. If you’re having a hard time getting coverage, we’ll work with the insurance companies to find a solution that works. Our job is never complete until you are 100% satisfied. One of the services that are available at Valley-Wide is personal tax return preparation. Employees are looking for a company that is not only concerned about the bottom line but about their well being as well. From convering the basics of dental and prescriptions to coverage of your chiroractic treatments, we at Valley Wide Group Benefits we can tailor a group plan that will meet your companies needs.